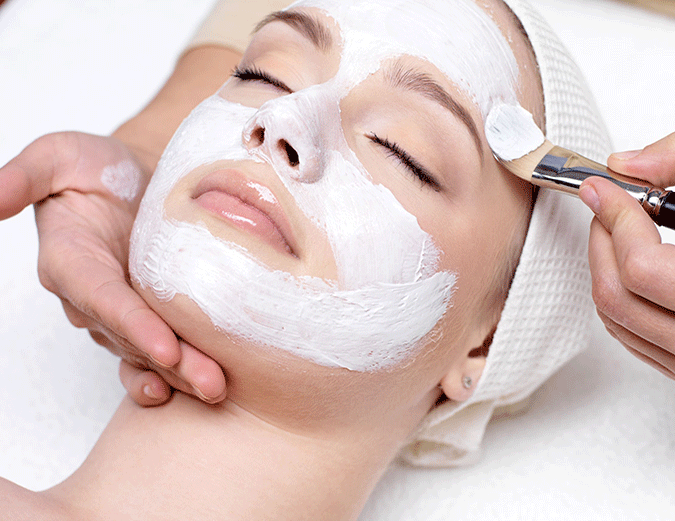 We offer customised, results driven facials suited to your skin type and condition. Following a complimentary consult a Dermal Therapist will tailor your facial to address your specific skin concerns. We may build in sonophoresis, LED, milia extraction, or alginate masks into your treatment to help you achieve the results you desire. Facials are a great in between or entry-level service to support other more cosmetic procedures you may be having like laser, IPL, PRP or injectables. They can be performed monthly for good skin maintenance, or at any time you feel you are in need of some skin pampering. Suitable for all ages, men and women, our facials are all 60 minute treatments. This thirst-quenching facial is designed to re-mineralise and moisturise the skin using a combination of nourishing ingredients. You and your skin will also be pampered with a relaxing face, neck and décolletage massage using a creamy hydrating mask. The result is plump, radiant and youthful skin. Perfect for dry, dehydrated and lifeless skin. $110. A calming, anti-redness and anti-inflammatory facial created for even the most sensitive skins. Your skin will be nourished with intense strengthening vitamins to soothe and repair irritated skin as well as restore a healthy barrier function. Drift away from any irritation with an indulgent face, neck and décolletage massage using an ultra calming balm. Suitable post peel, laser or microdermabrasion, and sensitised, burnt, damaged or rosacea skins. $110. Using a combination of salicylic acid, exfoliating enzymes and LED, this facial is designed to help with clogged and enlarged pores, reducing excess sebum production and preventing the advancement of acne. Advised for people with oily or congested skin. $110. A unique formulation of potent antioxidants, vitamin C and niacinamide, this facial will help to even skin tone and fade pigmentation, and instantly brighten to reveal healthy radiant skin. Recommended for skins that lack lustre and luminosity. Perfect before a special event or as a pick me up. $110. During this facial your Dermal Therapist will use sonophoresis technology to deeply infuse a cocktail of multi-vitamins into the deeper layers of your skin. It is the ideal facial for overall skin health, hydration and general appearance of your skin. This is the perfect facial for barrier impaired, damaged and dull skins. An excellent introductory service to get you excited about achieving your skin goals. $125. Be the first to get the latest Skin Alert news & special offers! © 2017 Skin Alert Cairns All Rights Reserved.